CSE 20289 is a core Computer Science and Engineering course at the University of Notre Dame that explores the fundamentals of computing systems. This course introduces students to the Unix programming environment where they will explore various command line utilities, files, processes, memory management, system calls, data structures, networking, and concurrency. Examining these topics will enable students to become familiar and comfortable with the lower level aspects of computing, while providing the foundation for further study in subsequent systems courses such as computer architecture and operating systems. 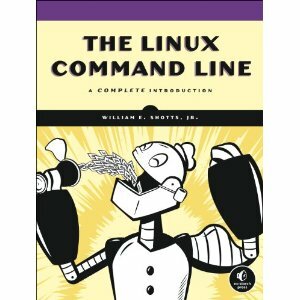 Utilize unix commands to navigate filesystems, edit files, manage processes, explore system and network properties, produce documents and plots, and manipulate multimedia files. Employ Unix development tools to compile, link, build, debug, trace, profile, and test software applications. Compose shell scripts to automate tasks. Construct regular expressions and small programs to filter and process a variety of datasets. 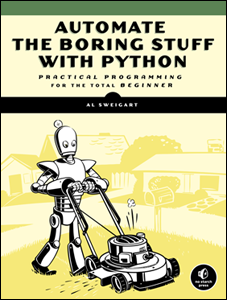 Develop basic Python scripts that process data and orchestrate processes. Manage memory and other system resources manually and utilize tools to help debug and profile applications. 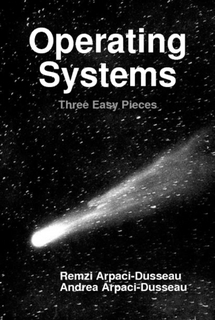 Utilize basic system calls to create processes that interact with each other via various forms of inter-process communication such as files, pipes, and sockets. Discuss the core tenets of the "Unix Philosophy" and how it is applied to modern software development. Readings are due by noon on the Monday of the assigned week. Homeworks are due by noon on the Saturday of the assigned week. Projects are due by noon on the Saturday of the assigned week. Students are expected to attend and contribute regularly in class. This means answering questions in class, participating in discussions, and helping other students. Foreseeable absences should be discussed with the instructor ahead of time. Any student who has a documented disability and is registered with Disability Services should speak with the professor as soon as possible regarding accommodations. Students who are not registered should contact the Office of Disabilities. Any academic misconduct in this course is considered a serious offense, and the strongest possible academic penalties will be pursued for such behavior. Students may discuss high-level ideas with other students, but at the time of implementation (i.e. programming), each person must do his/her own work. Use of the Internet as a reference is allowed but directly copying code or other information is cheating. It is cheating to copy, to allow another person to copy, all or part of an exam or a assignment, or to fake program output. It is also a violation of the Undergraduate Academic Code of Honor to observe and then fail to report academic dishonesty. You are responsible for the security and integrity of your own work. In the case of a serious illness or other excused absence, as defined by university policies, coursework submissions will be accepted late by the same number of days as the excused absence. Otherwise, a late penalty, as determined by the instructor, will be assessed to any late submission of an assignment. In general, the late penality is 25% off for less than a week and 50% off for more than a week. The instructor reserves the right to refuse any unexcused late work. Notre Dame has implemented a classroom recording system. This system allows us to record and distribute lectures to you in a secure environment. You can watch these recordings on your computer, tablet, or smartphone. The recordings can be accessed within Sakai. Because we will be recording in the classroom and/or using an active learning environment, your questions and comments may be recorded. (Video recordings typically only capture the front of the classroom.) If you have any concerns about your voice or image being recorded, please speak to me to determine an alternative means of participating. No content will be shared with individuals outside of your course without your permission except for faculty and staff that need access for support or specific academic purposes. These recordings are jointly copyrighted by the University of Notre Dame and your instructor. Posting them to other websites, including YouTube, Facebook, Vimeo, or elsewhere without express, written permission may result in disciplinary action and possible civil prosecution. For the assignments in this class, you may discuss with other students and consult printed and online resources. You may quote from books and online sources as long as you cite them properly. However, you may not look at another student's solution, and you may not look at solutions. For further guidance please refer to the CSE Honor Code or ask the instructor.